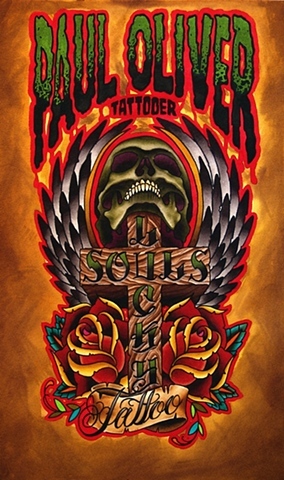 Owner and founder Paul Oliver established Lucky Soul's Tattoo in October of 2005 in Cambridge, ON. Lucky Soul's has grown to employing four full-time tattoo artists. A host of the area's best award winning artists have made Lucky Soul's their home, Paul and Barry Martin are the current resident tattooists at the new semi-private Cambridge shop. Recently, we have remodeled our studio to ensure a friendly, clean, and sterile environment. We at Lucky Soul's pride ourselves on offering the finest artwork under the best conditions. Our studio is constantly growing and expanding to better serve our clientele.